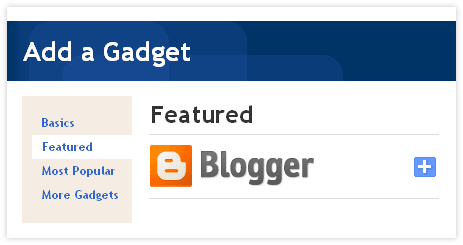 We are so honored to have BlogUpp featured on Blogger.com in the official list of recommended blog gadgets. Now millions of bloggers can install the blog promotion service with just one click on the featured listing. To keep everyone happy, the gadget integrates seamlessly with blog templates for its simple and clean design. As active Blogger.com users (with this blog inclusively), we highly recommend it as the blogging platform of your choice. Blogger.com has got a new look lately with tons of cool improvements, which most of you will love. Happy blogging to you all! Blogger.com is really cool and useful for the blog owners and the users.Enjoy it. thanks for helping me to promote my blog! @Glenys, you are welcome. We love doing so and wish you to enjoy your blogging. Everything was a breeze. I can't wait to see it in action once I'm approved! Hi, I was wondering when the approval would take place, it has been almost a week now, I think. @Chelm Wiseman, your widget is activated since April 27 and your blog is being distributed across our channels. You can tell that by the color of your widget bar, and by seeing your analytics panel.